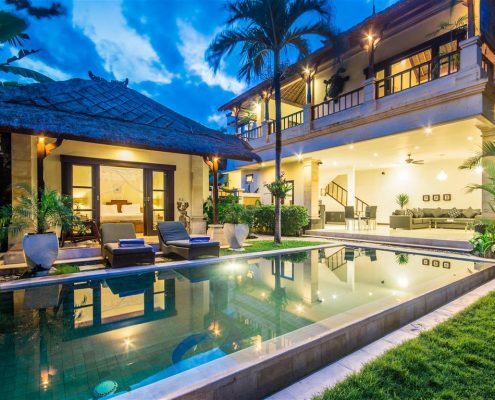 If you are looking for a spacious and relaxing 3 bedroom villa Seminyak for your next escape to Bali, then Villa Bugis is the perfect choice. 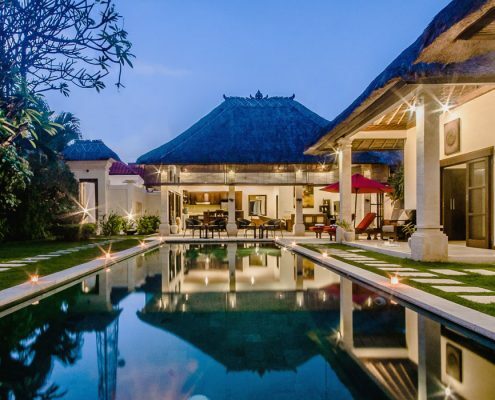 Villa Bugis offers luxurious and well-appointed accommodation in the most desired region of Bali, an island paradise in the south of Indonesia. 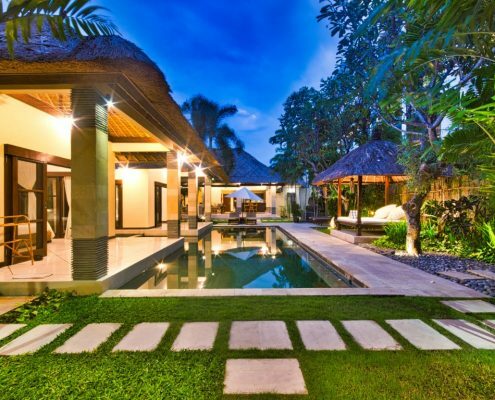 Villa Bugis boasts ten years’ experience in providing guests with relaxation and comfort and is equipped with staff who encapsulate the hospitable and courteous nature of the Balinese people. 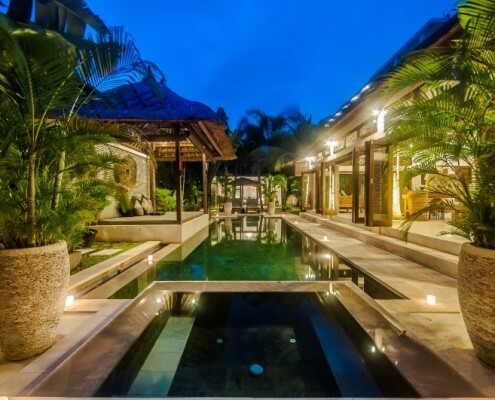 With the beach no more than a 10-15 minute walk away and an easy five minute stroll to the shops, everything you need is right at your fingertips when you stay at a Villa Bugis 3 bedroom Villas Seminyak. Choose from a wide range of 3 bedroom villas in Seminyak, all of which are tastefully decorated and adorned with quality furnishings. The lavish accommodation is only further complimented by a large, private swimming pool, perfect for a lazy afternoon soaking up the sunshine. Gorgeous tropical gardens and grassy lawn areas are perfect for families to enjoy together. A designated bar area and fully equipped kitchen allows guests to cater for themselves, or let our staff cook a special Balinese meal. 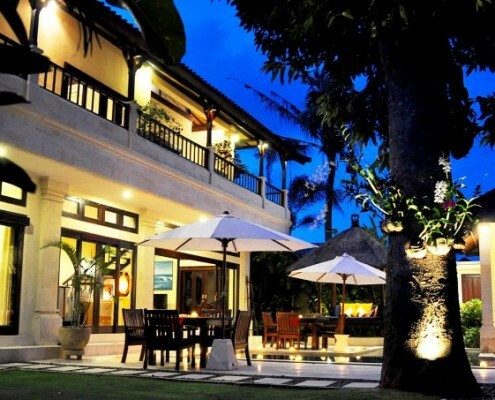 The friendly and helpful staff of Villa Bugis are also on hand to make your holiday perfect, even away from the accommodation. 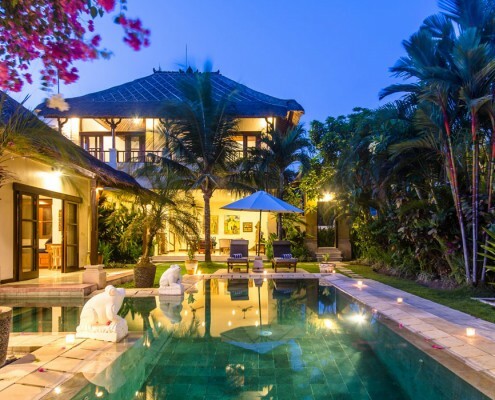 From a relaxing yoga class in the tranquil garden, to a day trip exploring stunning temples, Villa Bugis will endeavor to make your stay in Seminyak truly memorable. Take some time to explore the many amenities and services provided by Villa Bugis that will ensure the perfect Balinese getaway, and book yourself a trip to oasis today. • Dining table converts to a billiard/table tennis table!